The CPU is a less intense Qualcomm Snapdragon dual-core running at 1.4Ghz, paired to a more pedestrian 1GB of RAM. Storage options are limited to 16GB, and like the flagship one, there's no MicroSD card slot. HTC isn't saying how many "Ultrapixels" are used on the rear camera, but since the F-stop value is an impressive 2.0, it should still take pretty good stills. The front-facing camera is 1.6MP. The Android version isn't mentioned, but since features like Blinkfeed and Zoe are being highlighted, we're guessing it's the same build of 4.2 that the One has been enjoying for months. The smaller screen gets a naturally lower resolution: the LCD has been bumped down to a still-respectable 720p. Impressively, the body uses the same aluminum design as the larger One, with only a few visual cues showing the difference - note the lack of a seam running to the rear camera, and the LED flash has been moved above the camera module. We know that AT&T is getting a localized LTE version of the phone, and you can bet on both HSPA+ and LTE versions of the phone being made available to the larger international market. Beyond that, there's no news of American carriers. Since the original One was made available to all four major cellular providers (even if Verizon is taking their sweet time), it's more than likely that at least one more will jump onboard. LONDON, July 18, 2013 /PRNewswire/ -- HTC, a global leader in mobile innovation and design, today announced the HTC One mini, a compact version of the award winning HTC One, which has redefined the smartphone experience with revolutionary technologies including HTC BlinkFeed™, HTC Zoe™ and HTC BoomSound™. 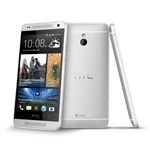 Answering the call of consumers who want the best in mobile technology in a body that slips easily into a pocket, the HTC One mini heralds an exciting period for the company, as it builds on its platform of innovation leader. 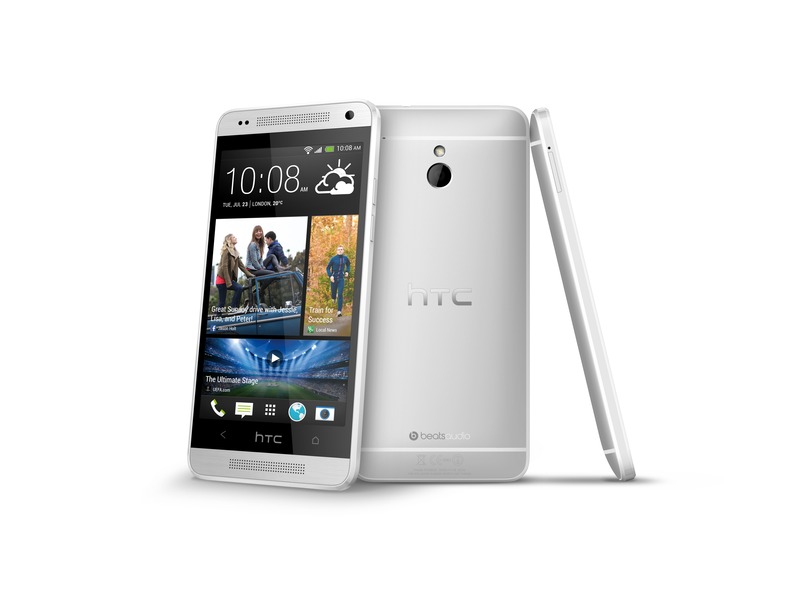 Distilling the iconic design of the HTC One, this new addition to the family combines a 4.3" display and powerful dual-core 1.4 GHz processor. It also runs the latest version of Android with HTC Sense®, bringing HTC's flagship mobile experience to style-seekers who demand premium looks and performance. Sporting a sharp and vivid 4.3" High Definition 720p screen, the HTC One mini boasts HTC's unrivalled design credentials. Available in Glacial Silver and Stealth Black, its striking aluminium unibody, slim profile and tapered edges both look incredible and feel great in the hand. 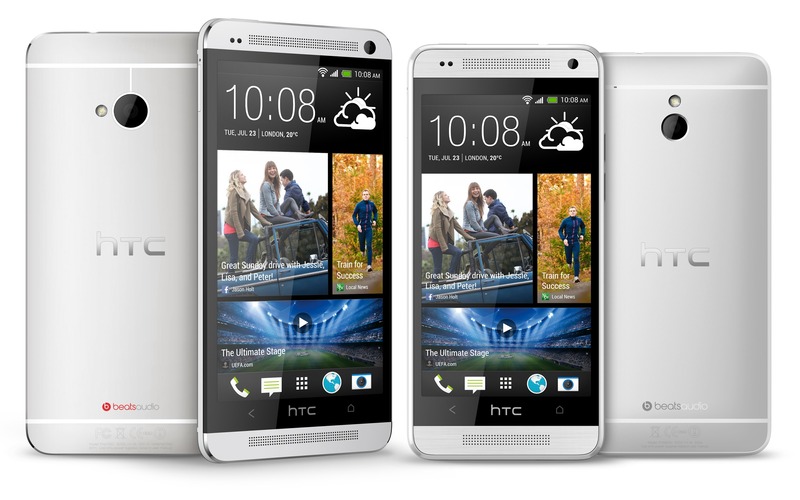 The HTC One revolutionised the smartphone audio experience with HTC BoomSound's dual frontal stereo speakers. Powered by dedicated amplifiers to deliver less distortion and finer detail, the HTC One mini offers the same huge sound, delivering the raw power that will put you and your friends at the heart of the action, whether listening to music, watching videos or playing games. Beats Audio™ integration takes immersive audio to the next level, guaranteeing the best listening experience available on a mobile phone. Never miss a moment with HTC's revolutionary camera experience powered by the stunning UltraPixel Camera and featuringHTC Zoe. Capturing 300 per cent more light than traditional smartphone camera sensors, HTC's UltraPixel camera captures photos in incredible detail and enhanced dynamic range, even in low light. HTC Zoe also brings special moments to life in three-second videos, enabling a range of advanced editing capabilities and creative flexibility. With the ability to take awe-inspiring images and amazing self-portraits on the 1.6MP front-facing camera, you won't want to keep them to yourself. Watch your photos come to life in a living, breathing gallery and share special events with visually stunning 30-second shows, created automatically by Video Highlights – no professional editing software or skill required. Simply select your own soundtrack from one of the pre-loaded themes or from your personal music library, before sharing your videos online for everyone to enjoy.